Both Spanish Fork and Alpine are among the most expensive communities in Utah. 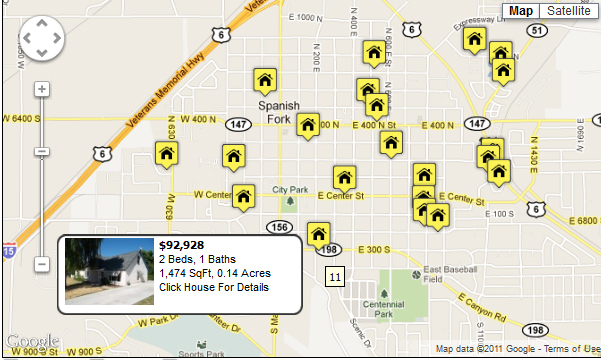 There are 236 different properties for sale in Spanish Fork, Utah. Most of these properties are residential, single family homes, but there are a few luxury condos or townhomes in Spanish Fork. Prices of Spanish Fork Real Estate have gone down over the last four years. Prices range from a low of $58,000 to $1,200,000. In 2013 houses that sold had a median sold price of $180,500. In the 3rd quarter of 2013 the average single family home that sold in Spanish Fork was $195,243. Other real estate on the market in Spanish Fork includes 53 condos, 7 multi-unit buildings including duplexes, triplex, and fourplexes and other multi-family properties for sale. Request a daily list of Spanish Fork Utah homes for sale: List of Spanish Fork Utah Homes for Sale. If you have questions about buying or selling a home in Spanish Fork Utah contact a group of Utah County Realtors. 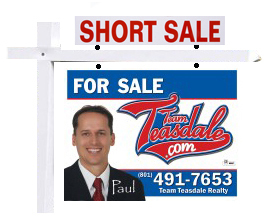 If you need help Selling a home in Spanish Fork Utah let Team Teasdale Realty give you a free comparative market analysis (CMA). There are new and old homes alike in Spanish Fork. Many of the major neighborhoods and developments have names like Pine Meadows, Spanish Vista, Canyon South, Pioneer Ridge, Oaks, River Cove, Aspen Meadow, Harward Subdivision, Quail Hollow, Covered Bridge Canyon, The Oaks, Soldier Summit, Maple Heights, Spanish Fields, Amherst Meadows, Maple Highlands, Ester Ridge, Sunny Ridge, Eagles Landing, Stubbs, Wolf Hollow, Fairway, Majestic. Spanish Fork Condos for Sale - Spanish Fork has a few luxury condos for sale. They are found in Willows Bend, Summers Ridge, Hunters Crossing, Southgate, Blackhorse Run, Maple Meadows, Whispering Willow, Willow Bend, Compas Cove, Spanish Vista, Black Horse Loop, Black Horse Run, Canyon Glen, Somerset Village, Davencourt, Spanish Trails, Wolf Hollow Heights, East Meadows, Wolf Hollow Heights and Pine Meadows. Condos offer several advantages over single family homes. Namely, they are substantially less expensive per square foot, and they include very little land. Home Owners Insurance on condos is also cheaper than single family homes as the exterior of condos is usually covered by the monthly home owners association (HOA) fee. View Spanish Fork Utah Condos for Sale. It is definitely a buyers market in Spanish Fork. For the first half of 2011, 176 residential properties listed on the MLS were sold. The average MLS listing has been on the market for a hundred days. Home prices may drop a little more as there are many motivated sellers, short sales and bank foreclosures in Spanish Fork. The bottom is difficult to predict. Large real estate discounts can especially be found on the high end, land, and spec homes as many properties are entering default and are in danger of foreclosure and or short sale. The majority of Spanish Fork homes for sale are sold by Realtors and are listed on the Multiple Listing Service. in the Spanish Fork area. See Our Spanish Fork Homes Website.